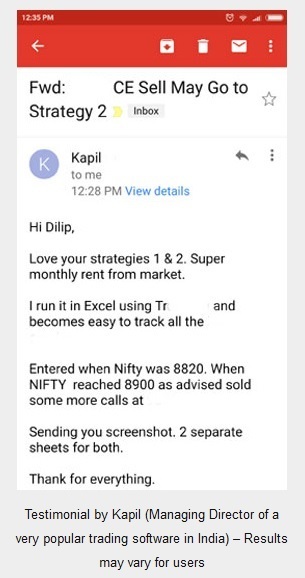 Iron condors is my favorite strategy to trade nifty options month after month. Well if you want to know the winning percentage – its close to 70%. But what’s more important is how to handle the 30% losses. If you are willing to take less profits you can also trade iron condors with 90% winning probability – and thatâ€™s the best strategy for beginners. First thing first – What is an Iron Condor? An iron condor is a trade of two credit spreads – one on a call option and one on the put option – sold on any underlying for the same month. Since I always trade on nifty, henceforth all my examples will be restricted to nifty only. If you donâ€™t know what credit spreads are, this article will help you to know about credit spreads. Read that first and then come back here. 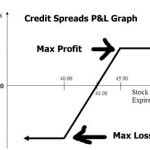 In short in credit spreads, one near option is sold and the further OTM option is bought for insurance. Since the sold option has more points, a credit is done to your account. You actually buy the OTM option from the money you get by selling the near option. That is why the number of sold options should be equal to the bought options. Now what if you think in this month nifty will not close beyond 6000 and not fall below 5500? you can sell an iron condor for that month. You can sell a credit spread on 6000 call by selling 6000 call and buying either 6100 call or 6200 call according to your risk capacity. Similarly you can sell a 5500 put and buy 5400 or 5300 put as per your risk. Remember the more gap you give between the sold and the bought options – the more money you make but more risky your iron condor becomes. Justified, isnâ€™t it? 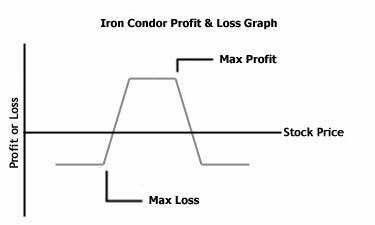 You can see in the graph that profit and loss is limited in Iron Condor. But the risk in the Iron condor is more than the reward you get. However Iron Condors are profitable most of the times. The rest of the times the risk needs to be managed aggressively. If you take my course I will tell you exactly how I manage the risk much better than how most traders manage it. I actually take a trade that is successful 95% of the times after my Iron condor hits a stop loss. This ensures I get back losses made in the Iron Condor trade plus I end up making a small profit because I double the lot in the second strategy. Ok, lets get back to the strategy I was discussing in this article. Now lets calculate the ROI if I win. So 60000.00 + 4445.00 = 64,445.00 – this is approx cash locked in my account for this trade for margin money. If all of the options expire worthless I keep 4490. ROI: (4490/64450) * 100 = 6.96% in 30 days – not bad! It means my maximum loss in this trade is 5510 wherever nifty closes and maximum profit is 4490 if it closes between 6000 and 5700. Does that makes sense? Yes it does if I risk 8.54% of my capital to make 6.96% in 30 days. As soon as put the trade on 26-Apr-2013 – nifty started to rise – a worst case scenario. Nifty was already in a bull run since 9-Apr-2013 from touching of a low of 5487. It had reached almost 5900 when I put on the trade. I thought it wont raise any further or start to fall soon. As you can see I got more premiums from my calls than my puts. When nifty or any stock is rising the system makes the calls costlier and vice verse. This I done to make an even field for buyers and sellers. If the sellers are not getting a good premium for selling options why would they sell in the first place? Long story short – my short call was in trouble and I had to adjust or get out or hedge my position to make sure I at least do not lose a lot on my trade. How to adjust an iron condor? 1. The most common option done by traders – rollover the condor one step up if the underlying is going up – or roll down if its going down. In my case I should close the 6000/6100 leg and sell/buy the 6100/6200 calls. Depending on profits I should also close my puts and bring them up one position to make more money. However please note that this should be done early as otherwise it will get costly to close the condor. Idea is to lose less and make more. 2. Close the losing leg in small loss (in my case the sold call) and let the other leg expire worthless. 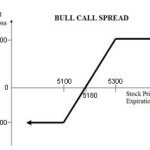 Note that the bought calls will bring in some money and offset the losses. So I donâ€™t lose 5510 – my max loss. I lose much less. In reality if your losses are less than you can make from the leg that expires worthless you make money and not lose it. Though your ROI will be less. However the problem with this strategy is that what if nifty nose dives back in the opposite direction after you close the losing leg? 3. Take a small loss before it escalates. Close the condor before you smell trouble. You can put on the condor again and get your money back. 4. Buy more OTM calls or puts depending on which leg is in trouble. However the same problem exists here – what if nifty starts heading south? As you can see all the above three adjustments to iron condors come with their own risk. However one thing is clear – you should take action before you start losing a lot of money. Even though you know your maximum risk but why wait if you can recover the same money in that month and lose nothing? If you actually lose nothing in that 30% of the times when an iron condor is in trouble – you will see that in a year your investments have bought in around 30-50%. And that is very good. Now you would like to know what I did? 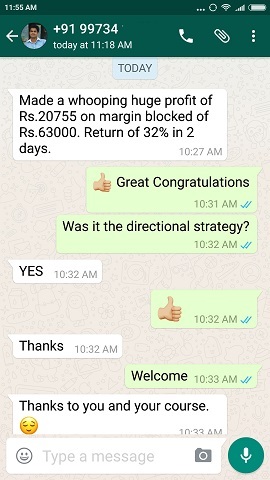 I closed my call leg for a small loss of around 1000 and sold 6300/6400 JUNE call option. Technically this is not a iron condor as I shifted to next month, but its all fair in the game as I have to do what will make me money. The put ones expired worthless in may and I waited for nifty to go down. It did and I closed the June credit spread at a good profit. Nifty started to go down after reaching 6146. My profits actually exceeded my max profit but it took a little more time and patience. Yes patience is important in any trade. Nothing happens in a day or even two. You have to have patience while trading. Eventually the win will come. As you can see iron condors can be profitable even if your view is wrong. And since one leg is guaranteed to make money, will expire worthless – you can use some strategy to make sure you come out winner of the other leg. However its easier said than done. What if nifty would have kept creeping up? My losses would have been much more than my max loss. Another thing you should keep in mind when trading iron condors is that you should go as far deep OTM as possible if that makes sense. The further you go, the probability of wining be more. It depends on how experienced you are. A 700 points wide iron condor will have a 80-90% probability. One more point: Sometime volatility will drop after you have traded an iron condor – and you will be in good profit in few days. In that case donâ€™t wait till expiry – just book your profits. Whats wrong in making 2% in 10 days? You can make the rest in the remaining days. These small profits will add up to big profits in a year. 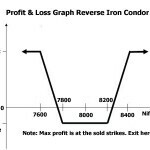 Sir I am interested in ur iron condor strategy please fell free to give ur mobile thru email so that I will contact u.
I am almost new to option trading and want to do it passionately . I liked your article and want to know some more. Will the following strategy work for the balance number of days of May,2015? Ofcourse, I am working on the calculations as given in your article. Yet, your guidance is solicited in the early stages of learning. You have bought and sold the same Put strike? Looks like its a typo. Whether it works or not will depend on a lot of things like Volatility, and Nifty movement. If its in a range it will be in profit in a few days. Now nifty close as on 31/07/2015 is 8532 and volatility is around 14.5%. Is it safe to trade iron condor option strategy now. 2. Volatility drops or stays in a tight range. The only think is that I don’t know how to select the correct strike price. how much is ideal? That exactly I teach in my course. Otherwise the world world can trade Iron Condors and make money. I teach which strikes to chose, which ones to sell which to buy. When you should enter and when to exit. What to do after taking a stop loss to recover the lost money. I way I trade is very different than what is written here. My strategies makes money 90% of the times. 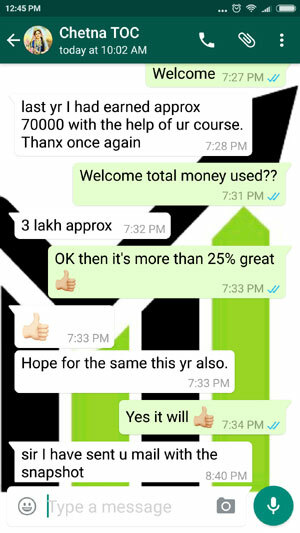 Dilip Ji, your material on Options basics & strategies are well explained and much impressive . I could have visited your website much before to avoid un-necessary losses incurred in last 6 months . Atleast i found this by now to follow ur guidlines. 1) can i become proficient enough to generate the calls and can succeed surely ? or do we need to follow your tips also . 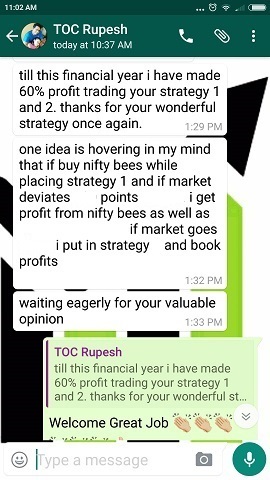 2) please confirm the strategies can work for intraday or ONLY for positional calls ? 3) Do you provide us any S/W to generate Buy/Sell signals ? 4) what is the minium profit we can expect in a month/day for 1lac capital , if i follow ur strategies ? 1. No need to follow any tips, you can generate your calls yourself. 2. Made for positional calls. 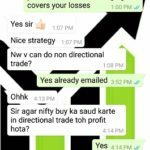 But some people have converted them to trade Intraday and are doing very good. 3. No software required. Software cannot make money. Is high volatility at the time of trading preferable for Iron Condor? While trading Nifty should one see VIX for the same? Also, I was thinking of taking your paid courses. Had doubt, as from October, the trading hours would be extended how would it affect your strategies? Yes High VIX is good to trade an IC. Trading hours extension will not effect my strategies as they are fully hedged. Hedge give protection for 24 hours – it does not matter if the markets are open every second if you hedge your trades.